Iran’s Foreign Ministry Spokesman Ramin Mehmanparast says Tehran’s international conference on nuclear disarmament has been widely welcomed. According to Mehmanparast, the conference dubbed “Nuclear energy for all, nuclear weapons for none,” will be held in Tehran on March 17th and 18th. “Officials from various countries, international organizations, and non-governmental organizations have been invited to attend the conference,” the Iranian spokesperson added. “The conference has been widely welcomed by all countries,” he went on to say. “We believe the world must be free from nuclear weapons,” he asserted. Well we all full well know the US nor Israel will ever get rid of their Nuclear Bombs. But kudos to Iran for attempting this type of meeting. This is a greater threat to the US and Israel then Iran actually getting a Nuclear Bomb. Both the US and Israel would have to give up their Nuclear Weapons. They are the two countries that more times then not are the ones who also start the wars. They are the warmongers. Loosing their Nuclear Weapons would be their worst nightmare. They will fight this tooth and nail. The Indian government will stand by its decision to take part in a nuclear meeting slated for mid-April in the Iranian capital, Tehran, in a move that is set to irk the US administration. According to a report published by The Hindustan Times on Sunday, the conference dubbed “Nuclear Energy for All, Nuclear Weapon for None” will be held on April 17 and 18 in Tehran. The Indian Ambassador to Iran, Sanjay Singh, will represent India at the event, which will be attended by ministers, officials and nuclear experts from over 55 countries. The decision to participate in the international nuclear disarmament meet comes while Washington continues its efforts to impose new sanctions against Iran over its nuclear program. The Tehran event will be held only days after a nuclear security summit between US President Barak Obama and Indian Prime Minister Manmohan Singh in Washington on April 12 and 13. Earlier, India rejected a call from the US to walk away from pipeline project carrying natural gas from Iran through Pakistan, saying “energy security” is a priority for its rapidly growing economy. The Israeli regime plans to send its top military strategist to China this week to convince Beijing to back sanctions against Tehran over its nuclear program. Head of Tel Aviv army’s planning directorate Major General Amir Eshel intends to serve Beijing with ‘renewed’ threats of military strikes against Iran, wishing to persuade China to follow along with the US-led push at the United Nations Security Council (UNSC) to impose a fourth round of sanctions against Iran, British weekly newspaper The Sunday Times reported today. According to the weekly, a subsidiary of the multi-national press conglomerate The News Corporation owned by Jewish media mogul Rupert Murdoch, Eshel will warn officials in Beijing that an Israeli military attack on Iran could disrupt oil supplies to China and its rapidly growing economy. Tehran has repeatedly dismissed Israeli threats of military strikes against Iran as psychological warfare aimed at pressuring the Islamic Republic to abandon its peaceful nuclear work while insisting that any efforts to materialize such threats will encounter a ‘painful’ response. The Israeli regime and its Western backers have repeatedly accused Iran of pursuing a nuclear weapon capability under the guise of a civilian nuclear program. Iran, however, has fiercely dismissed such claims as mere attempts by Western nuclear powers to prevent Iran’s rapid advances in the field of nuclear technology. Meanwhile, as a signatory to the Nuclear Non-Proliferation Treaty (NPT), Iran has opened its nuclear facilities to intrusive inspections and round-the-clock supervision by the UN nuclear watchdog, the International Atomic Energy Agency (IAEA). 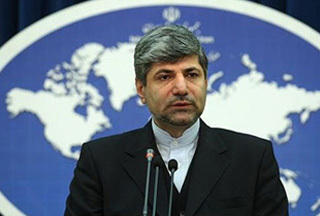 Moreover, Iran has also called for an international abandonment of all nuclear weapon arsenals and development efforts, which has been ignored by all countries possessing nuclear weapons. IAEA has repeatedly reported that it has found no evidence of any diversion of nuclear materials from civilian to military applications in Iran. That, however, has not stopped Washington from seeking to impose a fourth round of sanctions against Tehran through the UNSC. Tehran insists that the sanctions are illegal as they aim to deny the Islamic Republic the legitimate right to full nuclear fuel cycle for civilian use, in contradiction to NPT regulations. China, a veto-wielding member of the UNSC, has so far resisted US pressure to toughen embargoes against Tehran, insisting on continued dialogue as the appropriate channel to resolve nuclear concerns about Iran. However, Israeli and its American sponsor have recently stepped up efforts to pressure China to fall in line with the sanctions drive. The US and Israel have been collaborating closely in recent months to intensify efforts to muster support for new sanctions against the Islamic Republic. These efforts have included using press reports and allied countries to generate a high level of urgency on the issue. For instance, US tried to get Saudi Arabia to intervene on the matter by enticing China with attractive oil deals in order to drive a wedge between Beijing and Tehran, prompting Chinese consent to the US-led sanctions efforts. Meanwhile, press reports spread rumors last month that the Saudis have given the Israeli regime the permission to use their air space for any attack on Iran’s nuclear facilities, a claim denied by Riyadh. Both the US and Israel are trying to dictate to other countries what they should do. I do believe all countries have the right to progress in a peaceful way they see fit and not bend to the will of the two who are the warmongers. And who had a flight out of the US on 9/11 while all flights were grounded? Not just he Bin laden family. After all they are the warmongers who create fabricated documents and fabricated reasons to go to war. They are the two that lie their way to wars. Why would anyone trust either country is beyond me. These are the two countries that literally piss off the rest of the world with their wars on innocent people.. Their actions speak for themselves. Billions around the world have protested against both of them and for good reason. They are the planets bullies. Both countries have committed war crimes and crimes against humanity. The criminals behind those crimes are still warmongers and walking free. Maybe it is time for the US and Israel shut up and listen to the rest of the world. Israel to date has refused to let inspectors in. To date the US still refuses to let inspectors in. Iran lets inspectors in. Who is in violation here? Not Iran.